YouTube is no longer a mere source of entertainment; it has matured into a medium to promote businesses. The statistics from YouTube show that more than 1 billion unique visitors use the site every month and more than 6 billion hours of videos are watched each month. The number has increased by 50% in one year. And that’s not all; 100 hours of videos are uploaded every minute on YouTube. 8 out of 10 YouTube videos that went viral were not the average baby or the pet animal video. These were made by professionals and the stats will make you believe that the trend on YouTube has changed. By considering these statistics, it will get easier for you to locate the areas where your target audience is. So, what will be your strategy for a profitable YouTube campaign? When it comes to setting up a YouTube channel, one needs to be really strategic. 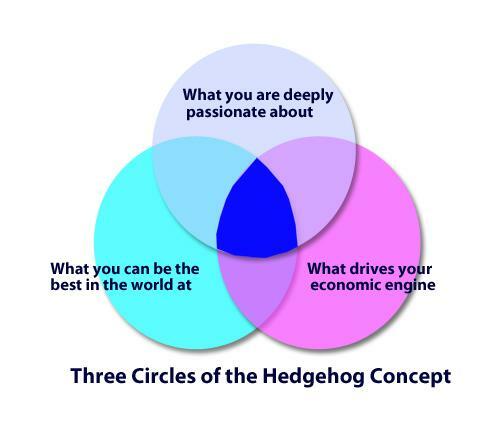 Hedgehog Concept can work well for most of the businesses. The concept is the overlap of three things including your area of passion, your skills or something you are best at, and how you can make money from it. Exposure and relationship building are the two benefits offered by YouTube. And when you have formed a strategy using the Hedgehog concept, you will get exposure on the YouTube and will have the choice on how you want to redirect the attention. There are two types of correlations – Direct and indirect. The direct correlation means if you have more subscribers, your video updates will be seen by more number of people, whenever you upload a video. Ranking of video is called as indirect correlation. Your subscriber’s content will be considered as one of the factors to determine the relevancy of the video content. It is essential for the videos to create a high-engagement with audience. Apart from looking at the views and subscribers, YouTube also keeps an eye on the engagement activities of the audience such as shares, likes, comments. YouTube will rank your video on these criteria. High ranking can be acquired by creating informative videos. Do not just capture the slides or the screen-capture content for the video, as it can end up in you losing clients. You need to show a face in the illustrations or slides. It is the first few seconds of the video, which can engage the viewers. Try to create a mystery and intrigue in the beginning of the videos. You can also introduce an interrupt, something that people do not expect in the video to engage them. Custom thumbnails are important to stand out in the crowd and get more attention. When people get 15-20 videos every day in their subscription feed, it is important to give your video an appealing custom thumbnail appeal to make it stand out in the crowd. The thumbnail will show up in the search results. Do add some text explaining more about the thumbnail and attracting people to click on it. The last tip would be to place a persistent image at the bottom of the left side of the image. YouTube introduced this feature last year. You can advertise an event that you are conducting or announce a special deal or even use it as a way to send viewers to another video on your channel. These are some of the many tips and tricks marketers are using to popularize their YouTube channel. And the new ways keep coming up regularly. So, one should keep a good eye on the market entrants and trends in order to create a successful YouTube channel.